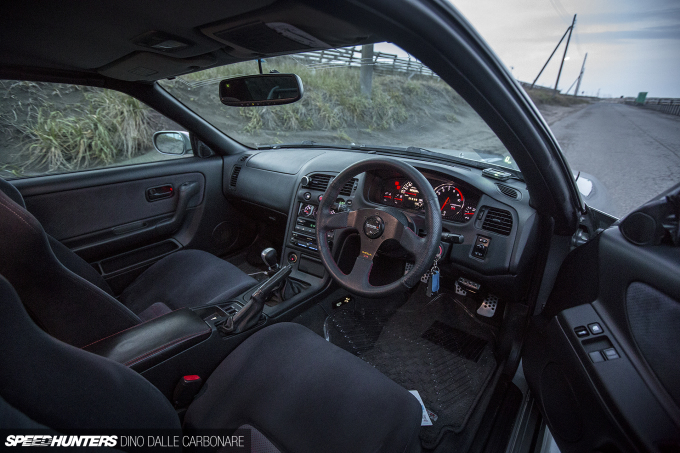 No doubt, you have already seen the article I published on Speedhunters about 6 weeks ago, describing my interior modernization project - which incidentally, is still ongoing. Speedhunters, however, is more on the visual side, and to describe the actual process would take several posts, and I do not have good photos for that. Also, I have to be careful not to denigrate individuals or complain about problems along the way, but with my blog, I can. 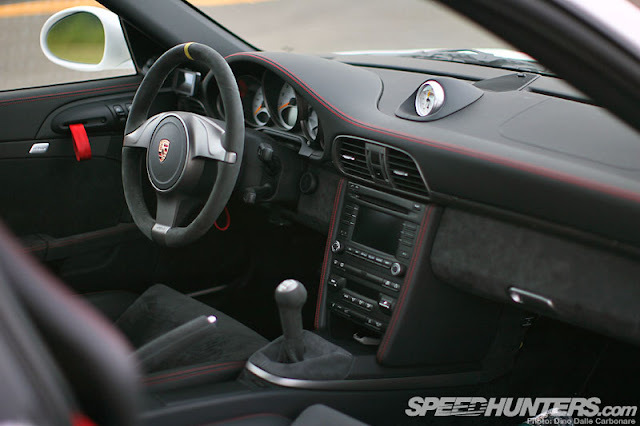 So I decided to use up all the photos I had taken along the way (some are not Speedhunters quality), as well as provide a more detailed look at my journey to redo my car's interior. To be honest, I am not sure how many posts this might take, so I appreciate your patience in advance! Anyway - ever since I bought the GT-R, one of the first things I noticed was, fantastic seats and gauges aside, the interior seemed a bit cheap. Even by 1990s standards. OR is it just me? Functional, simple and the seats are great! And while over the years I've spent OCD levels of research and effort and a lot of money on parts and service/ work in order to make my car perform the way I think it should - not just engine power and response but handling and braking - I've sacrificed my own creature comforts. But not anymore. 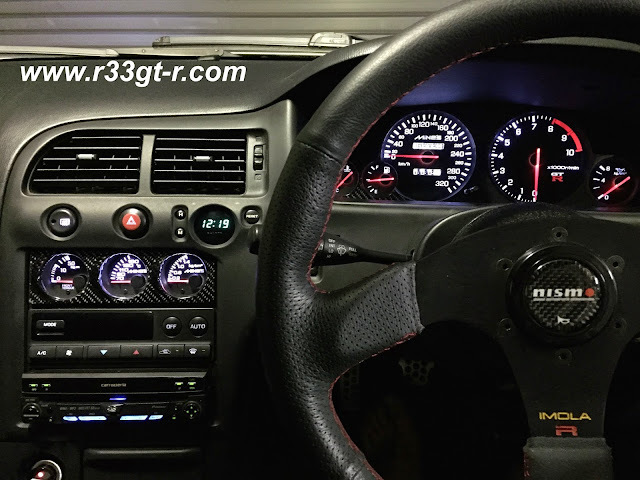 So after thinking about how best to approach improving the interior, and viewing different efforts online, I decided that my approach would be summed up best as "modernize" - or what Nissan would have done now, had they sold the R33 GT-R as the premium car it is. Remember that at the time the car was sold, it was one of the more expensive cars in Nissan's line up. 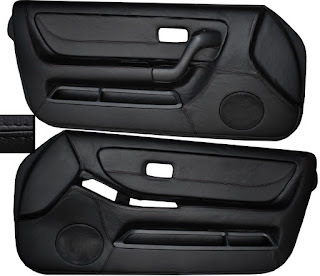 Clearly, they didn't bother with investing in the quality of the materials used in the interior, although admittedly, I think the plastics have stood up fairly well for a 20 year old car! A close look at the plastics inside the car, shows that nearly all of the surfaces are molded with fake leather striations. Naturally, my thought was - well, why can't we replace all of these fake leather surfaces, with real leather? 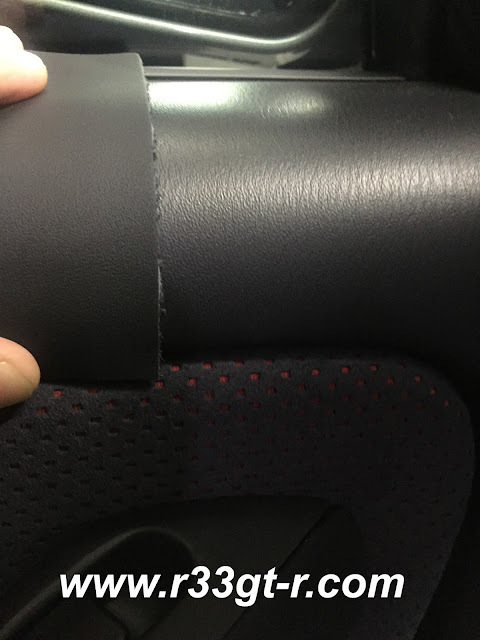 Turns out, REAL automotive grade leather actually doesn't always HAVE striations!! I had actually, a few years ago on my last visit to Robson Leather, asked Masa (Robson owner) if it would be possible to replace the fake leather with real leather. He demurred, saying that he could not guarantee that the leather would remain in place as he was not sure if the glue used for the leather, would be able to hold up over the long term. I also checked out other places in Japan, but found the cost to be prohibitively expensive, especially for first time, custom jobs. And so a few years passed, until the itch came again. I began researching different options. One was this I found on eBay - it looked do-able for the DIY person but after some questions I determined that the seller was rude and the product, crude. 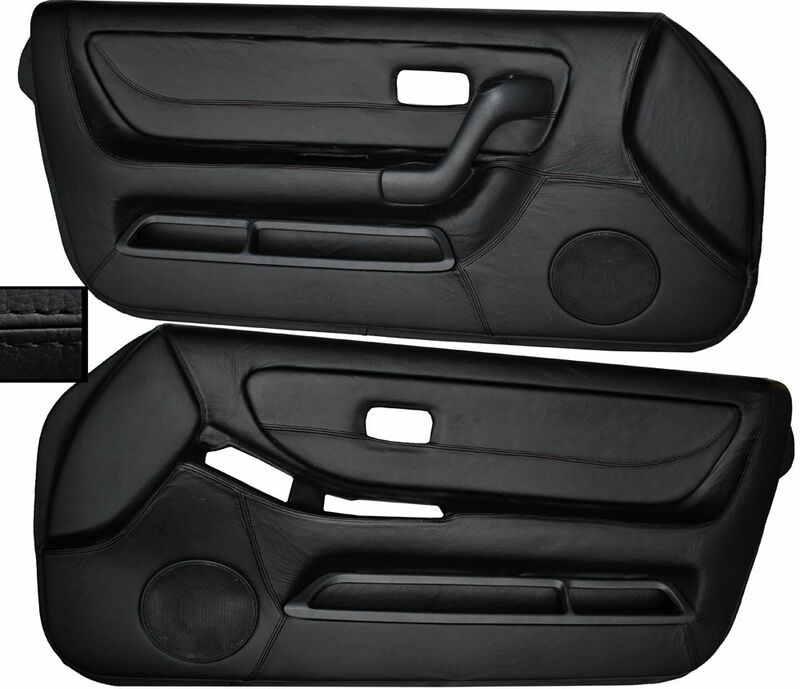 There are in fact many similar options out there, but each one covers up the center felt piece in the door panels. Maybe not a big deal if you have a series 1 or 2 car with the blue accents, but on a series 3 car with the red accents, I wanted those to remain. After all, such red highlights are what separates a series 3 car from the rest. 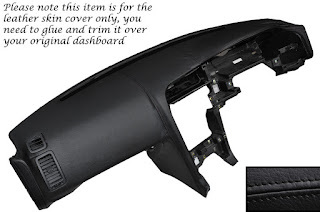 In the end, I decided not to waste my money with these relatively simple options but that I would have to go for a full custom job. Interesting to see your thinking behind the choices made. I personally don't find the interior of even the R32 GT-R to be particularly disappointing but I suspect nostalgia is at play here as I grew up riding (and driving) a 90s Camry. Hope golden week is going well for you. Anonymous - heck I grew up with an 80s Honda... But belated thanks for the GW wishes. Hope yours was good too. @Peter - thanks! Unfortunately the car right now is undergoing a whole bunch of updates simultaneously so I won't be able to publish on SH until then. In the meantime, I am trying to, in my spare time, talk about the details here of the interior here on my blog!